The Acer XB271HU is the latest update to the Acer Predator range, the top end gaming platform that’s made for the serious players out there. These models aren’t cheap but you are getting all the trimmings with this model. 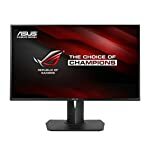 It’s 27″ thought by many to be the ideal size for games and applications, its 1440p, a step up from HD, you get G-Sync, generally considered to be the superior adaptive sync technology and assuming your graphics card can handle it, you can run at 144hz. 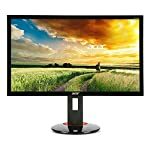 If you are looking for a premium design that is built from the ground up to give optimal gaming performance then this could well be the monitor you are looking for. Like I said, you do have to pay for all this, and to get the best out of it you’ll need a decent rig. If you are looking for bang for buck there are probably better options out there, this one is for the enthusiast who wants the best. If the price is putting you off, there is a cheaper model available. The only difference is the panel technology used. This is based on an IPS panel, thought to give more vibrant and accurate colours, but you can also buy a cheaper TN alternative. You can tell this is a gaming monitor thanks to the red colouring on the stand. It’s angular features certainly have a sense of predation about it. But what I really like about this is the so called zero frame design, OK, so there is a small border but it was of the smallest I have seen on a gaming monitor. I always think this makes for a more appealing setup myself so well done to Acer for giving some effort into the overall design over and above the gaming functionality. At this price point I’d want the full range of ergonomic movements thrown in and thankfully you do get swivel, tilt, rotate and height adjustments. 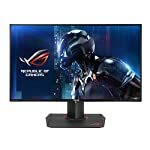 This monitor is built for playing games, let’s have a run through the features. First off, it comes with a gorgeous IPS panel that will give you clear crisp colour reproduction. Historically IPS tech has slightly higher response times but rest assured Acer have ensured a very quick 4ms grey to grey transition. This monitor is also built for super low input lag all round, it’s going to feel very responsive when you’re playing games. IPS panels also have superior viewing angles compared to the popular TN alternative, so the colour accuracy doesn’t drop off the moment you move your head off center! Adaptive synchronisation is handled by Nvidia’s G-Sync technology. This means you’ll need a Nvidia card to utilise this feature, but when enabled you’ll be able to ensure smooth, responsive and tear free play even when your graphics card frame rate dips during those hard to render moments. We give the Acer Predator XB271HU a 4 out of 5 rating. Want to know what existing owners of the monitor think? You can read real user reviews here. 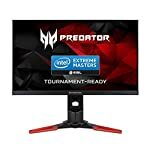 Should I buy the Acer Predator XB271HU? The XB271HU is a premium gaming monitor that provides a cutting edge experience to those that want the best and are prepared to pay for it. If you are having some doubts about this purchase then why not read some real owner reviews and see what other buyers think. 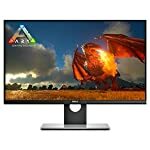 The link you have to amazon for the acer Predator XB271HU, for £525.99 takes you to a cheaper TNS Acer. Personally I would go for the IPS model myself. But I really don’t like the TN screen I have right now. Looking forward to an upgrade this year.